How cool is this family tree? A little different from the usual geneology chart. Someday I would like to have some type of picture display of our family tree, so my children can visually know their ancestors. 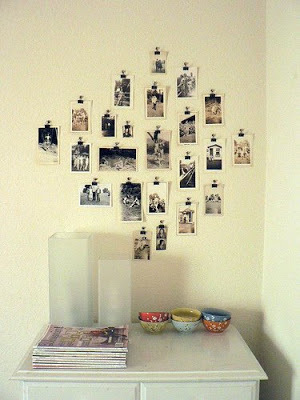 When I was a child, there was one wall in the house with pictures of my ancestors that included their names and dates. Because I saw these pictures everyday it was easy for me to put a face and name to a story I would hear about them. It’s important to treasure and preserve the lives of our ancestors and continue to share and learn from their stories. Check out more family tree ideas here. The post Family Tree appeared first on Darling Darleen | A Lifestyle Design Blog .